Celebrating Martin Luther King Jr. (MLK) Day is a Best Place to Work practice and an opportunity to engage your employees, educate the workforce, influence your business community and still keep the company productive with the doors open for business. 25 years ago, when InfoMart opened our doors, MLK Day was new to employers. Businesses weren’t sure whether to stay open, a lot like President’s Day, or too close, like the 4th of July. InfoMart decided to close for the holiday. Federal offices, which we relied on for information, were closed; however, many businesses stayed open, including our competition and clients. MLK Day is still a floating holiday at InfoMart; if you wish, you don’t have to come to work. However, if you don’t want to use MLK Day as your floating holiday you can come to work and be dispatched to do a day of volunteer service. Small businesses may lack the resources to observe MLK Day in a grand or public way; however, there are many activities that your small business can do that will raise morale and educate your workforce on diversity, all while establishing your organization as a Best Place to Work. Send companywide trivia emails with a gift card for the winner. Answers can educate the workforce on Dr. King’s legacy. InfoMart also displays trivia on the large monitors throughout our building, replacing our typical operating number alerts with timely and valuable information. Past internal celebrations have also included having a catered lunch and bringing in a special speaker. Since Martin Luther King Jr. Day was first observed in the late 1980’s, the way businesses chose to recognize the holiday has transformed. Many organizations now encourage a day of citizen action and volunteering in honor of Dr. King. 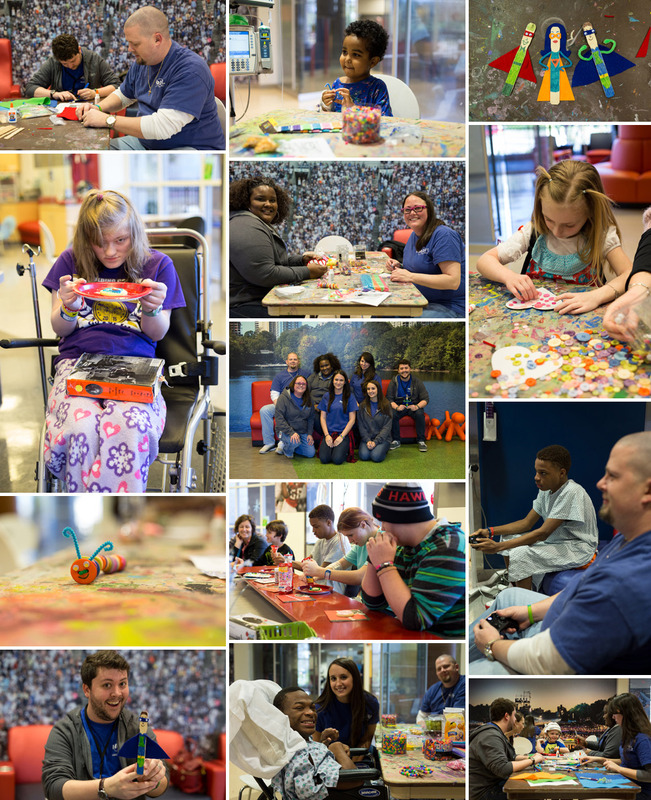 Through our I’m Giving Committee, InfoMart arranges several volunteer activities, from arts and crafts with the kids at Children’s Healthcare of Atlanta at Scottish Rite to stocking the pantries for local nonprofits. People who do decide to volunteer are given a company branded shirt. In addition to a day of service in the community, it is team building and raises the comradery of your employees. InfoMart also invites our customers to participate with us, affording us the opportunity to re-affirm relationships with our clients outside of the work context. 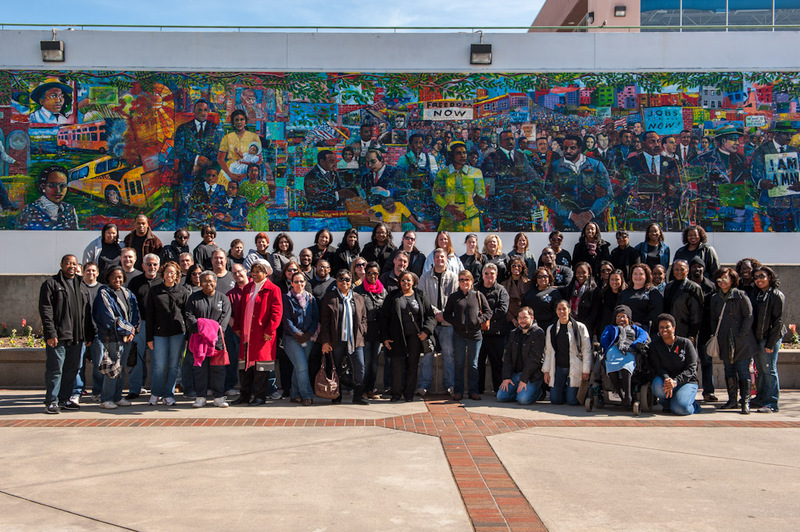 One of my favorite InfoMart MLK Day celebrations involved chartering buses to take the entire company to The King Center in Atlanta. We invited the local leadership of the NAACP and other community leaders who have participated in our Black History Month activities. We spent the day touring the center and ended the afternoon having lunch at renowned Atlanta landmark Paschal’s, where an employee of over 50 years shared with us stories of the restaurant’s rich history and role as a meeting place for leaders in the struggle for civil rights. If there is not a special spot in your city for your company to celebrate, consider joining your city’s celebration. Some cities have parades and rallies any company can attend. Whatever you decide, be sure to take pictures and share on social media, so that everyone sees your commitment to making this a special day. MLK Day is not about being elaborate. It is a time to get your entire workforce engaged in education and the celebration of diversity and civil rights. For more ideas on how to recognize and appreciate diversity in your workplace, visit Black History Month Celebration. How does your company recognize MLK Day? Share your ideas with me on social media.